Great bracelet! It's very well made; love the teal color. Very happy with the bracelet! As in my life, in my art my mantra is: "everything will work out in the end." 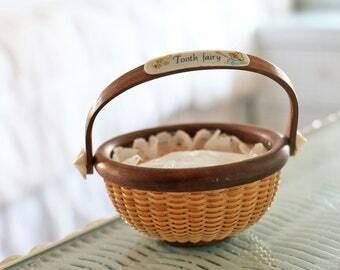 Although the rigorous Nantucket basket weaving style demands a dexterous hand and focused eye at every stage of the process, the total effect of each piece is not fully evident until it has been personified with a wooden rims and ivory embellishments. The history of the Nantucket Lighthouse baskets dates back to the Massachusetts island's whaling era in the 19th century. I seek to ridge this legacy with new traditions by crafting pocketbooks for special occasions, baskets to serve holiday meals, and woven containers to hold special gifts. By uniting form with function, my baskets not only weave together reeds and staves, but also entwine families and memories.